Three people are trapped in a room full of angry Commercial Drive residents: a homeless man, a drug addict, and a developer. Which one’s still alive come morning? Amidst worries about the densification of towers at Broadway and Commercial being a “foregone conclusion”, and the process being “developer-biased”, the City of Vancouver’s “attempt to rebuild some trust” in the planning process for the area with its Broadway and Commercial Exploring Options for a Transit-Oriented Community workshop last Saturday. Given the vocal hostility to the outline in the city’s Emerging Directions package for greater density at Commerical and Broadway, it was a bold move by the lead planner on the Grandview-Woodlands area plan Andrew Pask to begin the workshop by acknowledging the problems with the process thus far, saying there was “clear and serious disconnect” with the residents. But the issue was quickly brought back to the task as hand. Citing Broadway and Commercial’s status as a “major regional transit hub”, it made sense to densify around it to accommodate the increasing population, but also to attract more renters, as the number of renters in the area dropped from 75% to 66% in recent years. With planning and design firm HB Lanarc facilitating, it was clear that the purpose of the workshop was to make the community feel heard and respected as much as possible. Attendees were asked to share their hopes and fears for the meeting, then divided into table groups in which they brainstormed what they wanted to see from the development of the area. 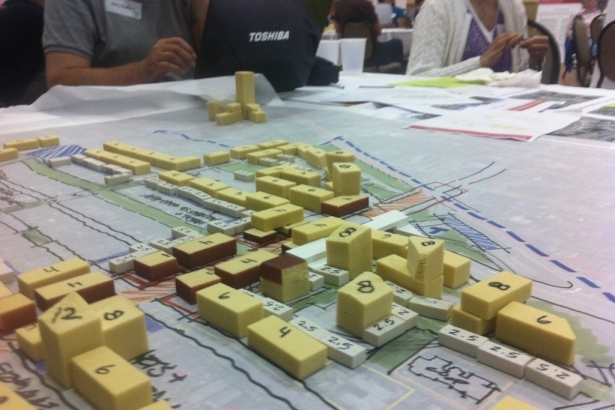 Then, after physically laying out what they thought were the best options for densification for the area with foam blocks, tables shared their resulting visions. But it was also clear that the City also had an intended audience for its show of facilitation: in the limited seats in the room were vocal community leaders critical of the proposed plan such as local historian Jak King, councillor Elizabeth Ball, and Tyee writer Charles Campbell. With all the emphasis on process, was the process effective? At my table, discussion centered around a few topics: the negative effects of the shadow cast by a large tower (the angle and length of which was calculated by one of the more emphatic group members), the problem of trying to densify in a viable, vibrant community, and the revitalization of “dead” areas along Broadway and 12th. With a facilitator from the City moving discussion along and stenographer taking everything down, it was quickly apparent that even with the diverse points of view at the table, the process was skewed. One member of the table, a property owner and developer who wished not to be named, was quickly shouted down by a trio of more eclectic, older participants. When he gave up trying to have his point of view heard, I went to talk with him. When asked why he supported the tower proposal, he told me about his elderly father who had trouble going up and down stairs, but because he lived in a tower near a SkyTrain station, he could visit whenever he wanted. 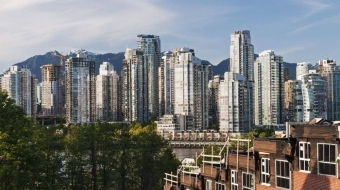 Concerns about elderly citizens were echoed by councillor Elizabeth Ball, who noted that half the population of Vancouver will soon be over 50 years old. But access and support for elderly, disabled, and low income, addicted, or homeless people were topics that participants almost entirely steered clear of during the workshop. The developer then moved on to the larger issues. 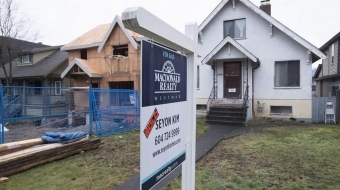 He argued that opposition to the densification of the area was protectionist and not realistic, given the projected increase in Vancouver’s population. 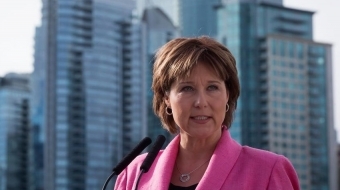 For those reasons, he said, he supported a 18-plus story tower on the SkyTrain site. “I don't know if densification directly at the hub is necessarily the best choice,” said Trevor Meier, a filmmaker and photographer who lives in the neighborhood. He proposed to enhance the community feel by blocking off streets between Broadway and 12th and enhance the South Commercial area with better businesses and infrastructure, citing the Bandidas taqueria as a successful example of what the neighborhood can be. Ultimately, this observation rang true in the shared results of our discussion at the end of the meeting. All the individual plans for the Broadway and Commercial site seemed to involve towers of some description, at highest 18 stories, and all concentrated on the Safeway site proposed in the Emerging Directions plan. On average, every plan included better affordability, diverse building forms, pocket parks and walkable green space, and varying laneway and alley use. Overwhelmingly, people wanted a slower pace of change and a reconsideration of the reasons why we were developing the site so heavily in the first place. Looking around the room, faces were not happy. At best the mood could have been described as pessimistically hopeful. While it seemed many were invested in keeping the neighborhood as close to the same as possible, some clearly attended the workshop for the potential they saw in a new city plan for the area.